Mitchell, a centre-forward, joined Argyle from Stockton following a recommendation from a team scout. He came to prominence in his youth, playing for the highly successful Billingham Synthonia under-18 football team in the early 1950s, who had gone two seasons without defeat, with Mitchell weighing in with over 50 goals. He also played for Whitby Town, at a time when their team was made up of mainly Stockton and Teesside-based players and the club used to run a private bus for them from Stockton Market to their Turnbull Ground every other weekend. Most sources say that Mitchell joined Argyle from either Whitby Rovers, Whitby Rangers or Whitby Town, but the Western Evening Herald was clear that he came to Home Park from Stockton. 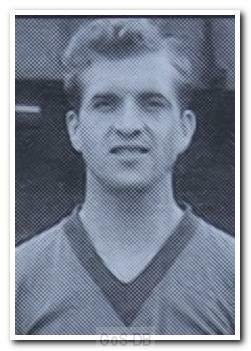 Two days before his Argyle debut, in March 1956, the WEH said that he had signed amateur forms for Argyle some months before, and that the arrangement with Stockton was that when the North Eastern League club had no fixture, he was free to play for Argyle. At the end of that season, he signed professional terms for the Pilgrims. After a bright start, impressing for the reserves and scoring twice on his senior debut against Leeds United, he did not make much of an impression on the first team during just over a year with the club, and moved on to North Shields. He also had a spell with Bridgwater Town and went on to play for both Hartlepools United and Darlington, without appearing in a league match for either club.